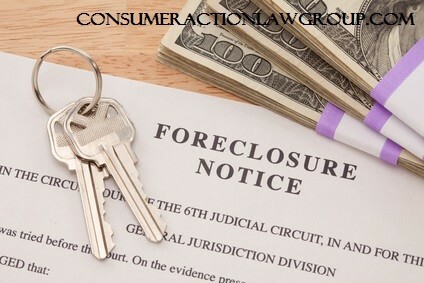 Consumer Action Law Group provides legal advice to help people get rid of debt and stop foreclosure sales. Their attorneys help homeowners to save their homes by filing lawsuits and bankruptcies to stop foreclosure and wipe out debt. Home foreclosures are still a common occurrence in California. There are various ways to stop a foreclosure and get legal protection from the court. The attorneys within Consumer Law Action Group have been providing legal advice to homeowners facing foreclosure in California for years. When it comes to stopping a foreclosure sale, it helps to have an experienced attorney handling the case. A good foreclosure lawyer must provide the best solution to a homeowner threatened with the loss of their home. The lawyer must suggest the best way to Stop notice of trustee sales and get an effective solution in a very short period of time. It is usually very difficult for a homeowner to deal with foreclosure when they are in danger of losing their home. When a homeowner talks to a foreclosure attorney at Consumer Law Action Group, much of the conversation is focused on what the lender has done to help [if anything] and whether the homeowner is able to afford a reasonable mortgage payment. It is possible to stop a foreclosure by filing a bankruptcy and resuming regularly scheduled mortgage payments, as long as a homeowner can afford to pay the mortgage. Another option for stopping a foreclosure sale is to file a lawsuit for wrongful foreclosure. After receiving a notice of default it is necessary for a homeowner to act quickly and talk to an experienced attorney about their options. Within days of the sale, it is possible to stop a foreclosure by filing an emergency bankruptcy petition. This is one of the best techniques to deal with the situation on the brink of a foreclosure sale. An experienced foreclosure attorney generally knows how to navigate the courts and the legal process to make sure that the petition is filed correctly on time. When a homeowner receives a notice of trustee sale or notice of default it is critical to take immediate steps and talk to a lawyer about legal options and the best decision. The benefit of an experienced lawyer is that they take effective steps within short time and make sure that their clients are able to get a solution without any delay.